I-Nex has a CPU-Z similar interface that displays CPU, GPU, MotherBoard, Audio, Drives, System, Kernel, Memory, Network, USB info in tabs. I-Nex collects real-time CPU temperature and Memory usage, it also allows to take a screenshot or generate (print) report. 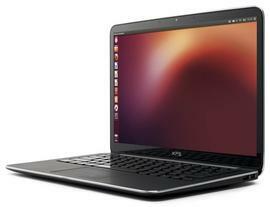 Works on Ubuntu 14.04, Ubuntu 13.10, Ubuntu 13.04, Ubuntu 12.10, Ubuntu 12.04, Ubuntu 10.04 and Linux Mint. 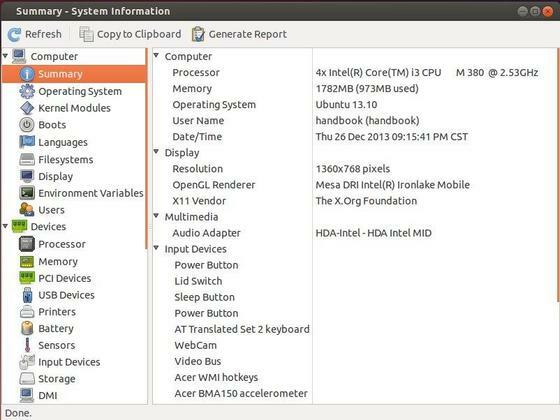 HardInfo is a system information and benchmark tool available in Ubuntu’s universe repository. 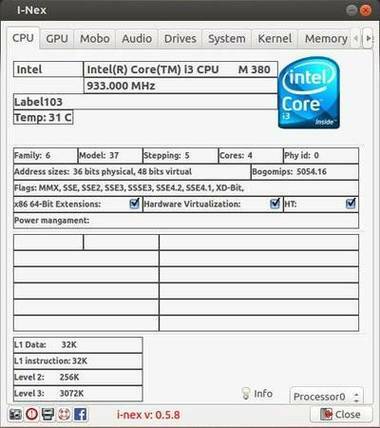 It displays a summary of your system information and detailed devices, network, benchmarks. It allows to generate printable reports either in HTML or in plain text formats. To install this app, just open up Ubuntu Software Center, search for and install hardinfo package.